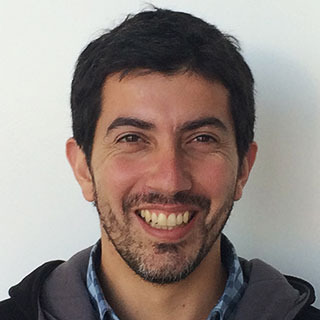 Juan studied Veterinary Medicine/Science at the University of Chile, graduating in 2004. During that year, Juan started to work for the Agriculture and Livestock Service (SAG), where he evaluated veterinary medicines for their sale in Chile. In 2009, Juan started an MSc degree in Veterinary Studies (MVS), veterinary epidemiology, at the University of Massey (New Zealand). During this period, Juan carried out research regarding the role of infectious pathogens on beef cattle fertility, specifically in bulls positive to Campylobacter fetus subsp. venerealis and its link with abortions and seropositivity to BVDv, Neospora caninum, Leptospira borgpetersenii seovar hardjo and Leptospira interrogans serovar pomona. In 2012, Juan started a Ph.D. on occupational leptospirosis in New Zealand (University of Massey, New Zealand). During this period, he researched the prevalence of antibodies against Leptospira in veterinarians and farmers, risk factors related to the serological status, and the relationship between serology and symptoms similar to influenza in these occupational groups. He also provided an estimation of the efficacy of the vaccination against Leptospira in cattle and the cost of human leptospirosis in terms of disability-adjusted life years lost (DALYs) and their economic value. During 2016 he worked as research assistant in the Veterinary Epidemiology Centre (EpiCentre), at the University of Massey; and then he joined the University of Minnesota in 2017 as post-doc in the Department of Population Medicine, where he works in the Swine Health Monitoring Project, in which pig producing companies, that represent some 50% of the pig population in the USA, share voluntarily data on the incidence of PRRS and PED.